TestoFuel Review: Are the claims true? One thing just about all gym buffs have in common is mighty hunt for the most powerful workout supplements to up the game. To be effective, it must make the most of recovery; speed post workout repair; and intensify overall training results. The TestoFuel distributors claim that they have created an end to the search. It is said to reverse testosterone production issues and does so with naturally obtained properties that have given scientific backing to be effective for improving the ability to synthesize this hormone. Fenugreek is cultivated to obtain a property called Testofen which is said to amplify the libido by intensifying testosterone serum levels. Siberian Ginseng has been used for hundreds of years to combat oxidative stress; support the immune system; and boost the libido. Now Russian trainers utilize it to enhance their performance and spur muscle cell synthesis. 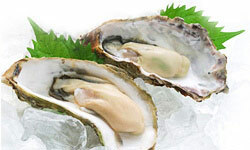 Properties extracted from oysters add copious amounts of extra zinc. Inadequacies of this mineral have been shown to cause testosterone level reductions and an increase of estrogen production. The body manufactures vitamin D3 naturally upon exposure to UVA and UVB rays. 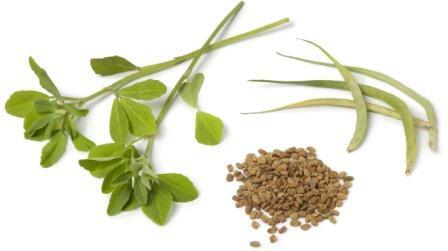 Studies demonstrate that the synthesis of testosterone is reliant on this vitamin. Protein metabolism in the body and the synthesis of muscle tissue cells is conditional to magnesium levels. This mineral is key to maximizing post work out recovery time and supporting cell repair. Vitamin B6, often called Biotin by supplement companies, regulations levels of testosterone as well as oversees its manufacture. Consumers are told by the company that a daily dose consists of 4 capsules and they should allow 2 entire months to determine their full results from its consumption. Scientific evidence has been revealed for the efficacy of each property in TestoFuel. The production facility is in the United States. Their label carries the GMP approval seal. The company offers dissatisfied consumers a 90-day money back guarantee. There are no published clinical studies for the efficacy of the post production formula. The manufacturer only approves packages returned within a 7-day period from the receipt of the order severely contradicting the 90-day reimbursement policy. Testofuel warns that it can take up to 60 days to feel the optimal effects of this product. Consumers must contact the company headquarters located in the U.K. indicating that this is not entirely made in America. A container of 120 tablets is a supply for a single month and costs $65. Two containers are priced for $130 and four containers deal is marked at $195. Those who purchase the four container deal receive shipping, a t-shirt, and two training e-guides absolutely free. No other supplement page besides the TestoFuel company site sells this formula and it cannot be ordered from Amazon. This is a poor purchase decision. This product is costly and there are far too many condition attached to the return policy.